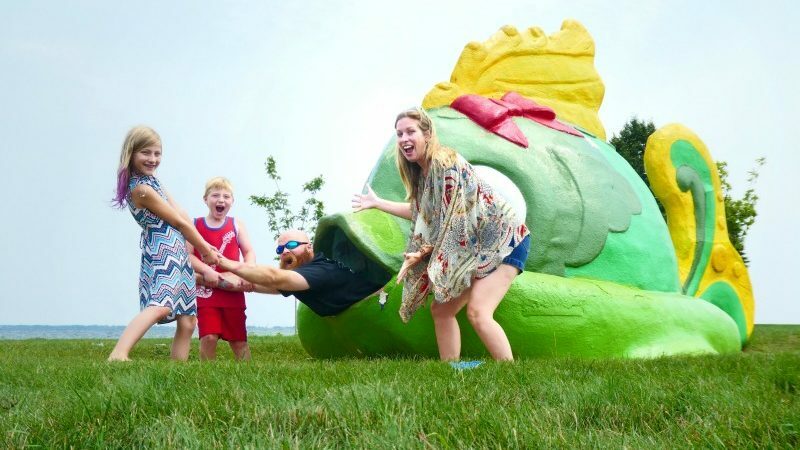 If you’re a lover of the road, much like our Retro Travelingmom, then this guide to the best roadside attractions in Michigan is for you! Join us for a tour of Michigan’s most loved attractions and possibly learn about a few that you probably never heard of before! Ready to see where you can find the home of Motown or a giant concrete seagull – all within the grasp of the mitten state? Then, let’s get started! Michigan is a fun state to road trip though because there really is a lot to see. 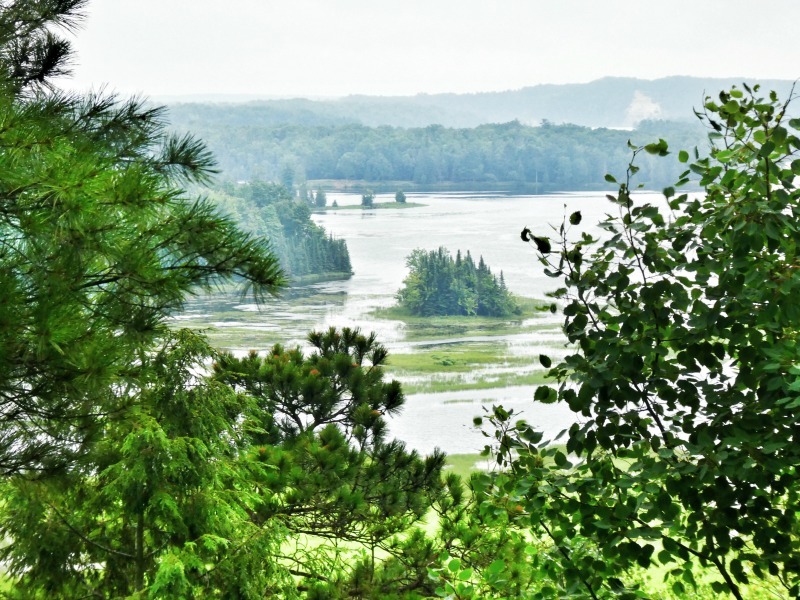 And it doesn’t matter what area of the mitten you find yourself in, the U.P., northern, eastern, or western Michigan, they all have at least something worth pulling over for. Because my family and I have driven the state of Michigan several times over, we have accumulated quite a list of free or almost free roadside attractions to stop by. This list includes everything from a beautiful natural view – to a weird statue or quirky attraction. Basically, anything that would give warrant to taking a break from the road for just a few minutes of time. 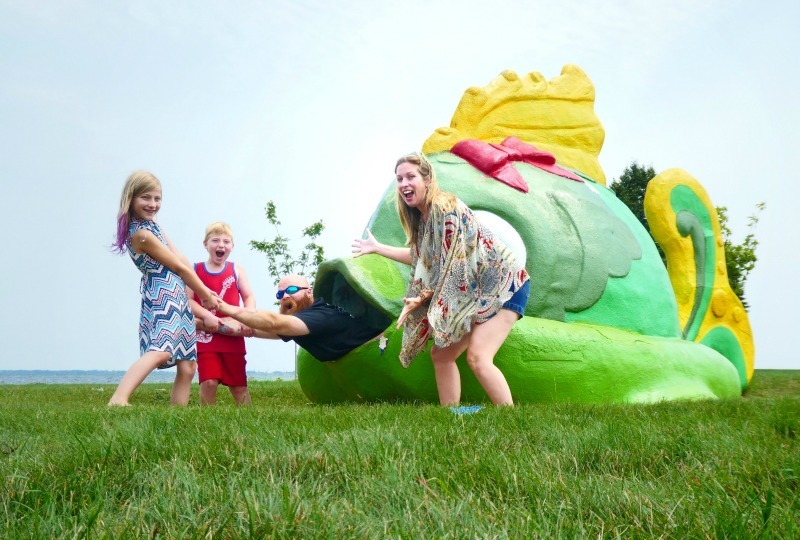 Today, we want to share with you our ultimate list of Michigan roadside attractions to add to your list of things to do in Michigan. Have your camera ready? You’re going to need it with this list! 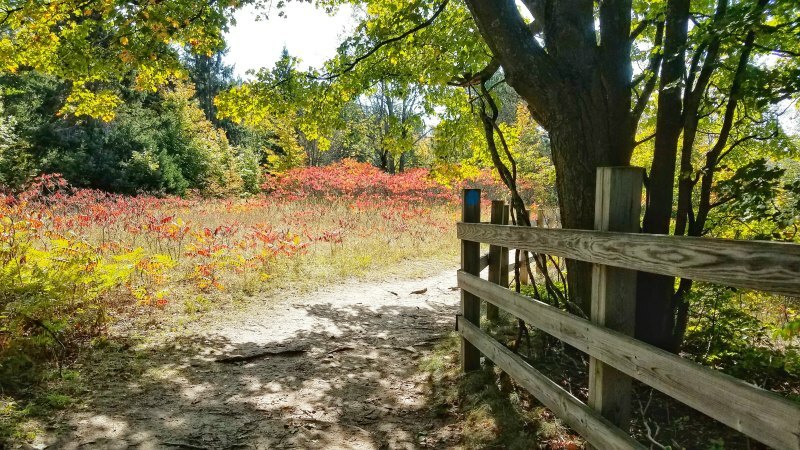 Whether you’re visiting Michigan to take advantage of the sweet summer lake time, the beautiful fall colors, or the adventuresome winter snow, this list will be there for you to keep your road trip interesting. How many of these have you seen? 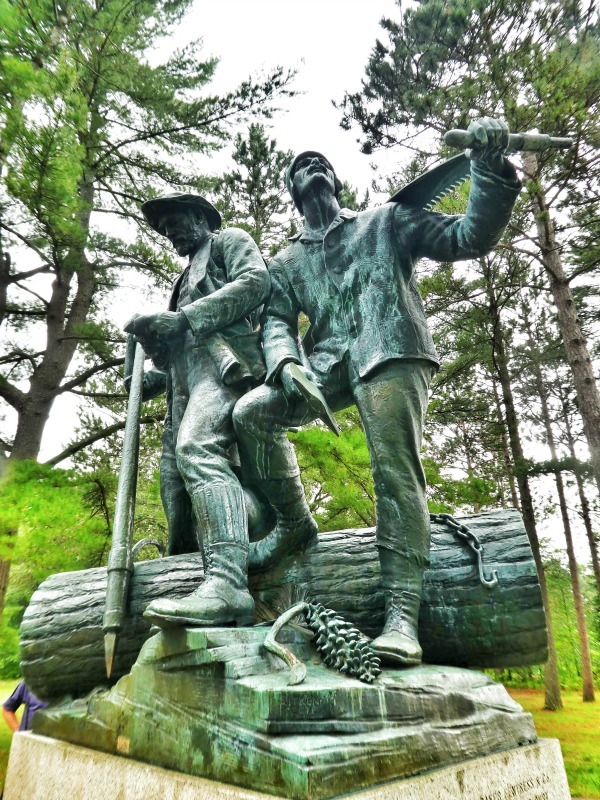 The Lumberman’s Monument makes a great stop in Michigan because it’s free, there are free activities to participate in, opportunities for education, and one of the most beautiful views over the AuSable River that I’ve ever seen! There is also a gift shop available with Michigan souvenirs. FREE | 5401 Monument Rd, Oscoda, MI 48750 | Open May 1st – October 23rd. I’ve been making this fun stop since I was just a kid back in the 1980’s – and nothing has changed since then. However, that’s what makes this place a gold mine! It’s an Instagram paradise full of retro giant concrete animals that you can sit or play on if you’d like! Also, it comes with a beautiful view of the lake and beach and a covered spot to have a picnic. Part of what Michigan is known for is its’ natural beauty – and you can find some of that at the Iargo Springs! This natural spring is at the bottom of nearly 300 steps, so be ready for an adventure before heading out! You can also find a viewing deck at the top of the stairs near the parking lot. Outhouses are also available (yes, I said outhouses). 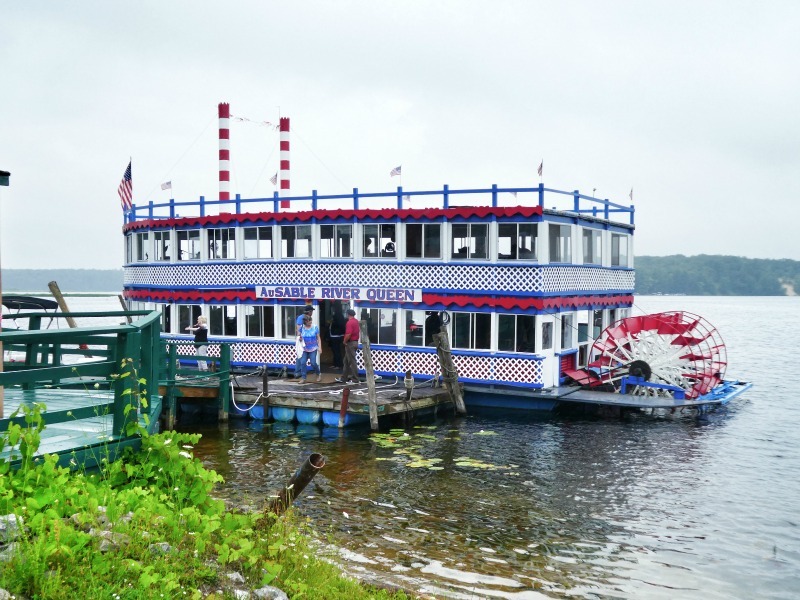 Taking a trip around the AuSable River aboard the AuSable River Queen is a fun way to see the rivers natural beauty. I also enjoyed the nostalgia of being on a riverboat built in the 1960’s! Just remember that trips aboard the riverboat last about two hours. However, there are restrooms on board and food available for purchase. During the fall, M-119 turns into a road trippers paradise! This scenic drive runs for about 28 miles and at the right time of year turns the road into a colorful wonderland – essentially, a natural tunnel of trees. 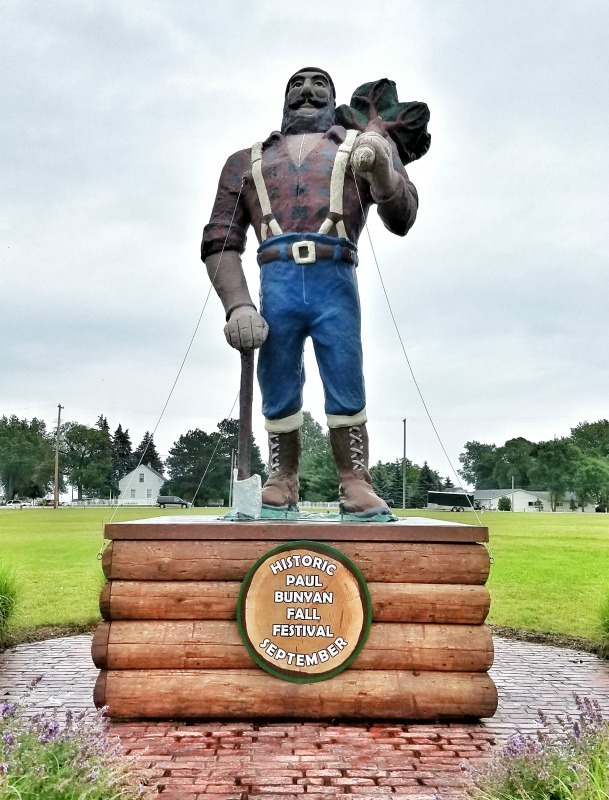 This 13-foot tall statue of Paul Bunyan can be found in front of Furtaw Field. The story tells that it was once used as part of a Thanksgiving Day parade float in Detroit in the 1970’s before being bought and moved to this location in the early 1980’s. Deadman’s Hill is a hiking trail, but it is also a great place to grab a look out over the landscape. Perfect especially in the fall when the trees change their colors to look like a painting. This is a quick stop with parking and an outhouse bathroom. For a small admission price, this stop is educational and fun! What used to be an old military base is now re-opened as a museum. Hours of Operation: 11am-3pm Friday, Saturday, and Sunday. Open mid-May thru mid-September. Adults $5.00, 12 and under $3.00, under 5 FREE. 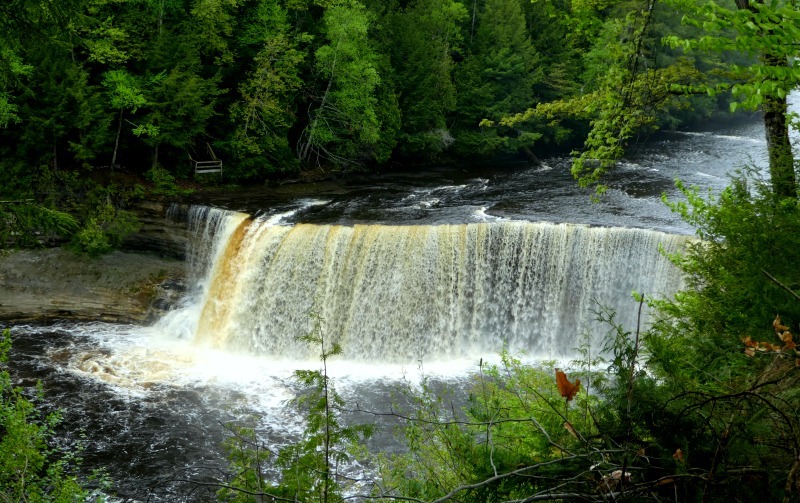 The Tahquamenon Falls is made up of two separate falls – each worth the short hike to see. Plus, the paths are paved. 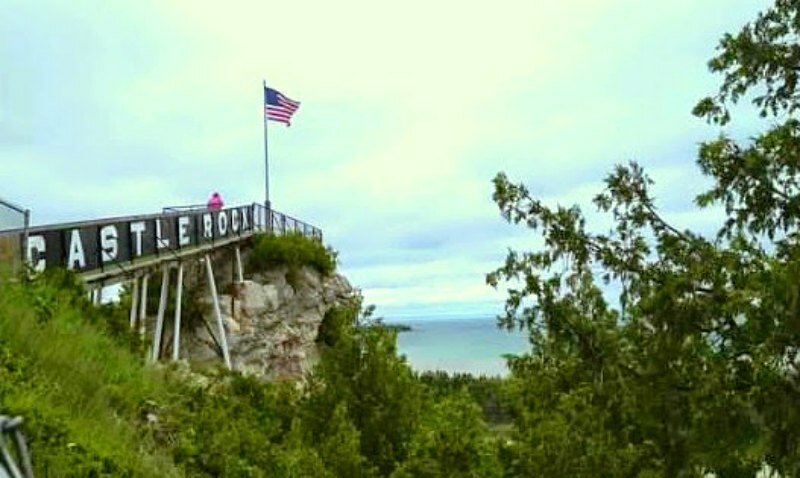 Climbing to the top of Castle Rock is a Michigan right of passage – once you’ve done it, you probably won’t ever do it again. While the 170+ steps can be a challenge, the view from the top is quite incredible. With a cost of only $1 per person to climb the rock – many would say it’s worth it. Don’t worry, there are benches along the way. 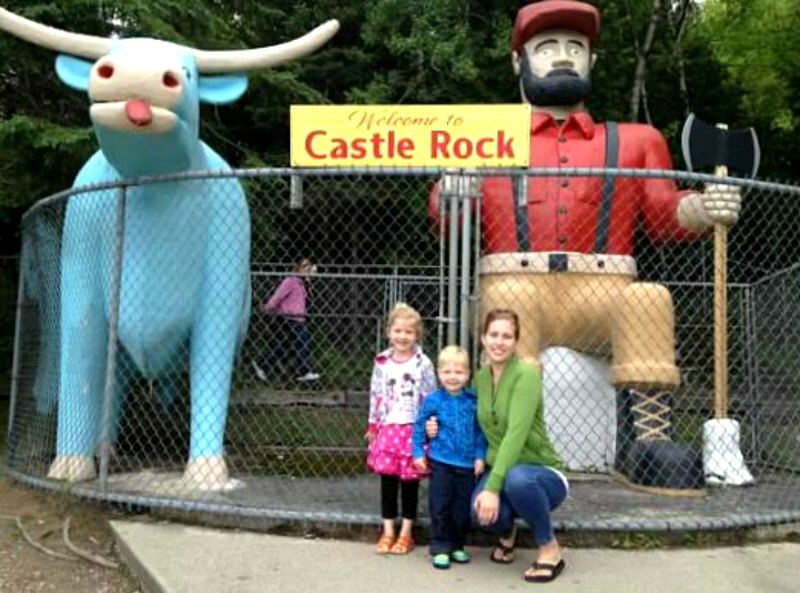 After exiting Castle Rock, be sure not to miss Paul Bunyan and Babe the Blue Ox. These two can be found standing tall right out front! Are you intrigued by Motown music? 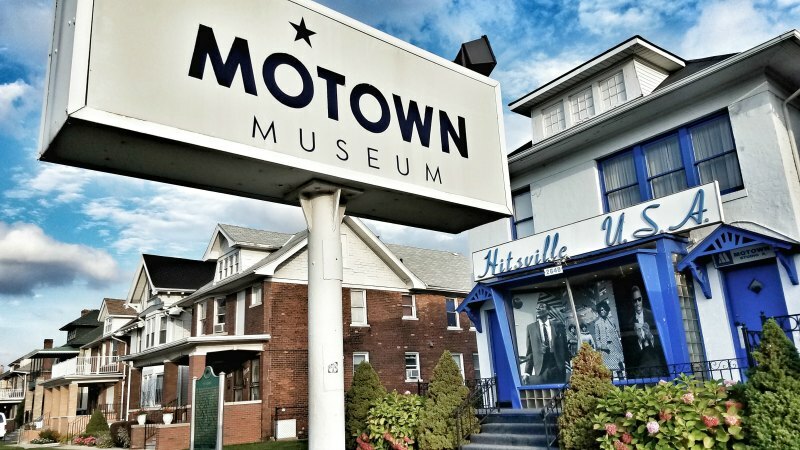 On a quiet street in Detroit, it is possible to tour Hitsville U.S.A – the home of Motown. Walk through the recording studio and imagine what it would be like to see this place and the hits recorded here back in 1959! 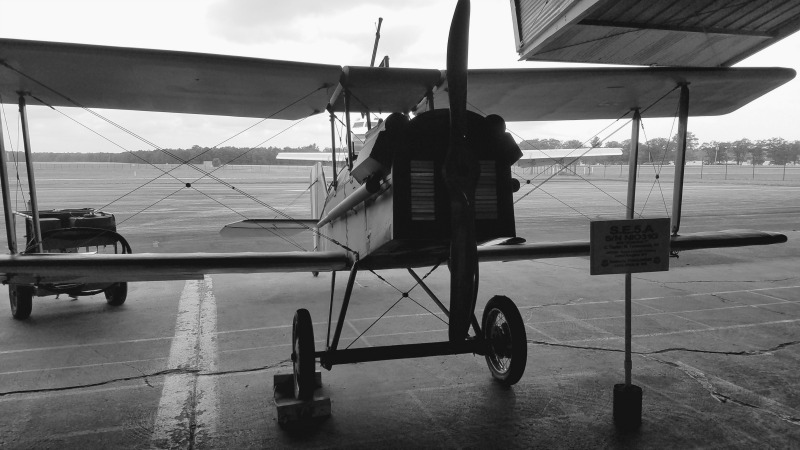 Be sure to book your tickets to tour the museum in advance – these do cost. However, it is free to take photos out front! The Eastern Market is a large farmers market where different vendors set up year round. Housed within different sheds, it possible to find baked goods, produce, meats, and handmade crafts. This venue is free to visit – unless you decide to purchase something of course! 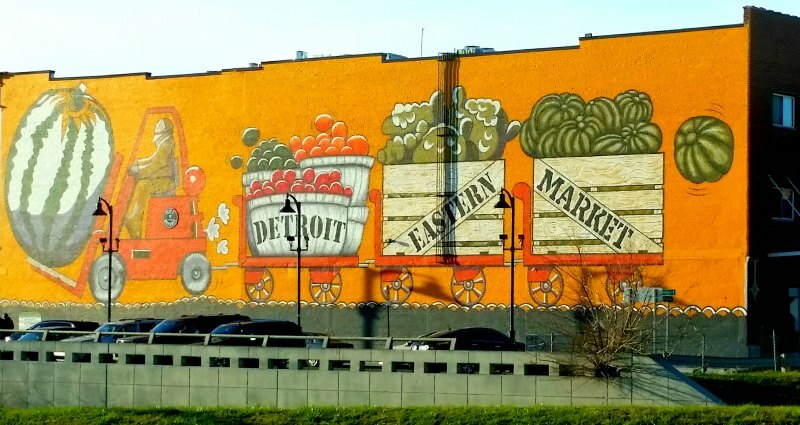 My favorite part of visiting the Eastern Market is to see the graffiti on the buildings! Amazing! 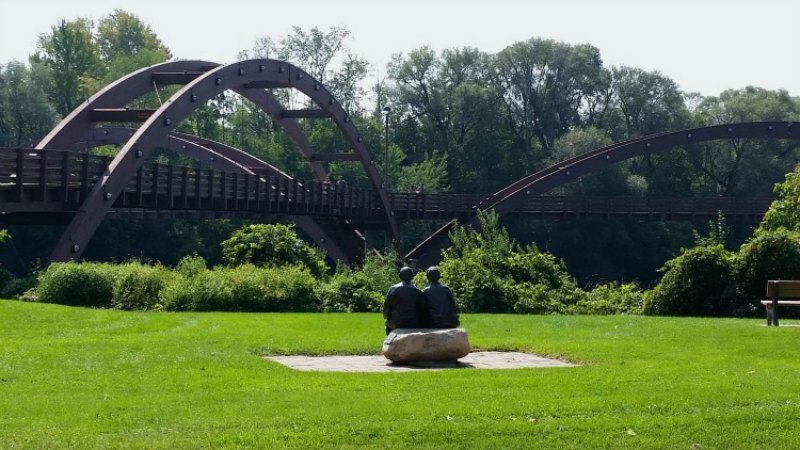 The Tridge is a three-sided bridge (get it, Tridge?). This stop makes for fun photo opportunities, plus a chance to get out and walk. There are also trails and a water play park nearby. If there is one thing that stands out in my mind about Detroit, it’s the beautiful and talented public art. The Heidelburg is a wonderland of such art, although this art includes piles of shoes, old t.v.’s and what some would depict as “trash”. Be sure not to miss the house decorated with vinyl records! 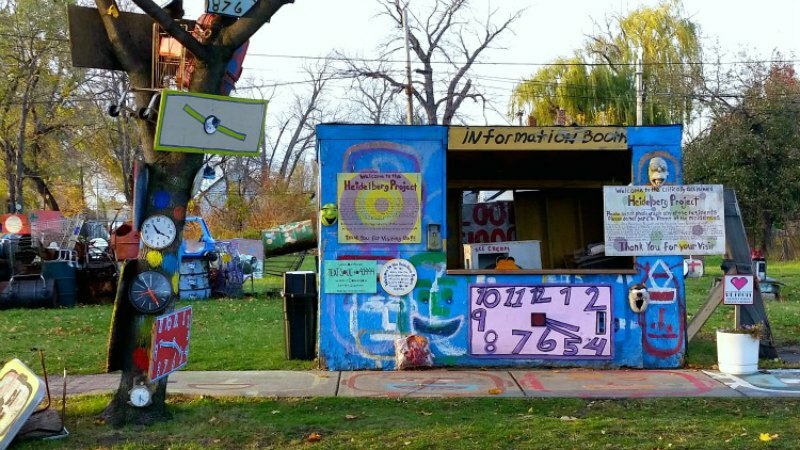 If you enjoy browsing the graffiti art of Detroit, Lincoln Street Art Park is a “do-not-miss”! 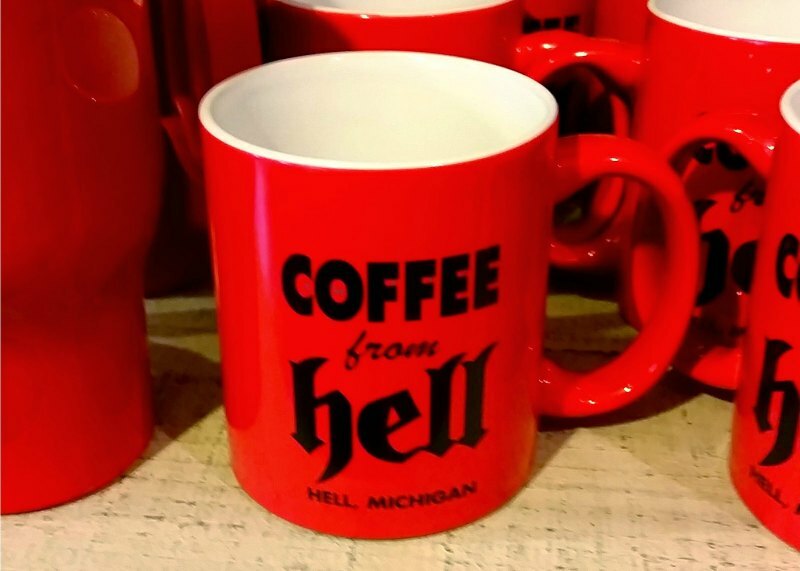 You read that correctly, there is a city in Michigan called Hell and it’s open to visitors! In fact, they capitalize on the name by offering fun souvenirs in their store so you can remember your trip. Do you love celebrating Christmas year round? This holiday store in Frankenmuth is a yuletide paradise, even in the middle of July! Even if you’re not wanting to shop, this place is simply interesting to see. Do you believe in fairies? All along the streets of Ann Arbor, fairies have set up their homes. You can search for them hiding around the outside of the shops downtown. Need a map? Find one here. While this stop isn’t quite a quick one, it makes the list because of the awesome sculpture park located on the grounds. Take a walk outside and view giant sculptures and natural floral designs unlike any other. 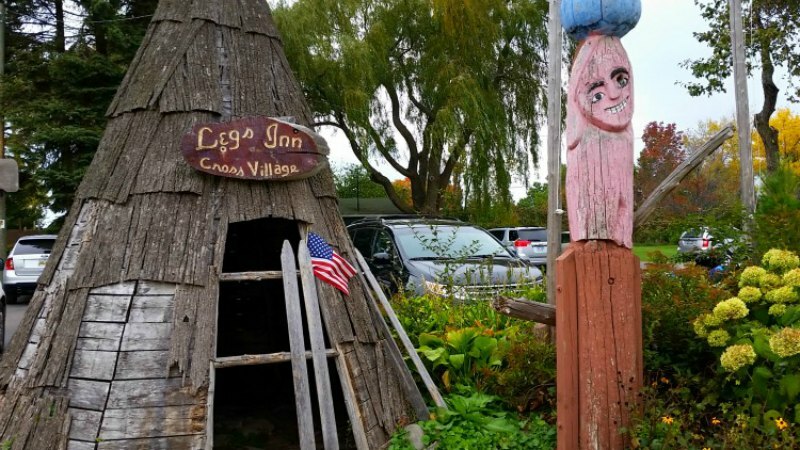 Do you have a roadside attraction in Michigan that you’d add to this list? The comments box is waiting! Presque Isle Park, Marquette, Mi Beautiful views of the harbor, Ore Dock/Ships, hiking trails along the coastline and into the middle of the park, Black Rocks (climb around volcanic rocks), might get a glimpse of albino deer, playgrounds, pretty marsh walk, little store selling delicious Dilbert’s ice cream including Mackinac Isle fudge chip! Can’t wait to move back to my home state!! !